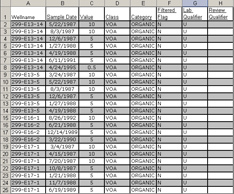 of large environmental databases on a nightly-basis. 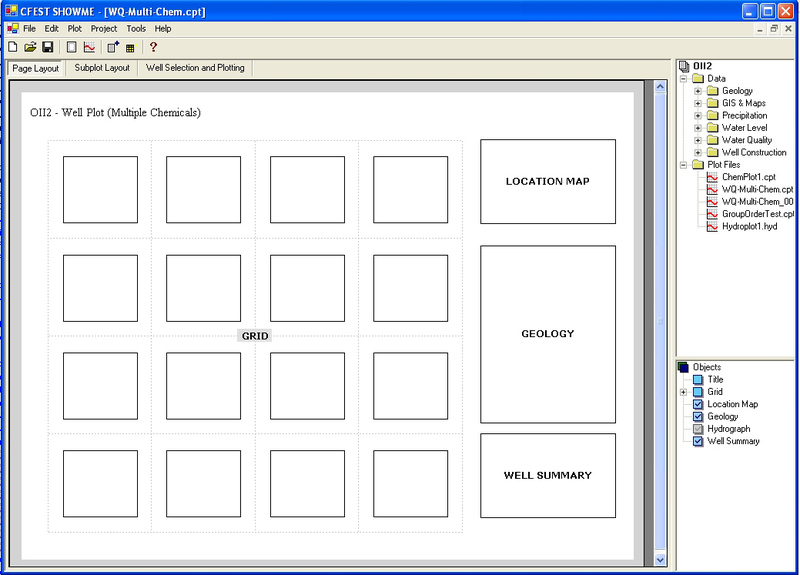 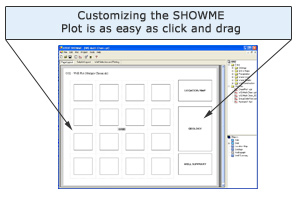 This is an illustrative sample page of a SHOWME template. 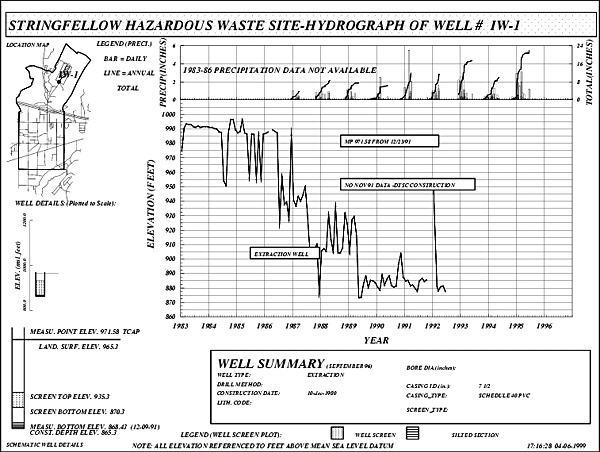 This template was developed for EPA Region IX managers, site managers,stakeholders, and the concerned public. 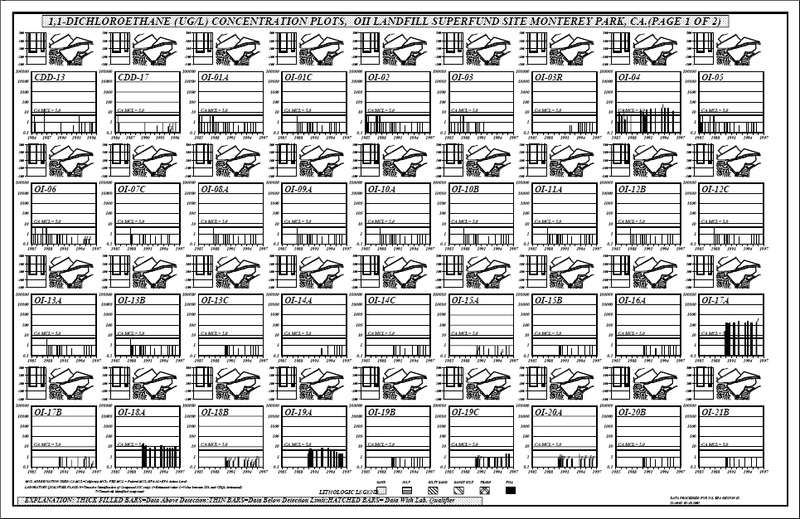 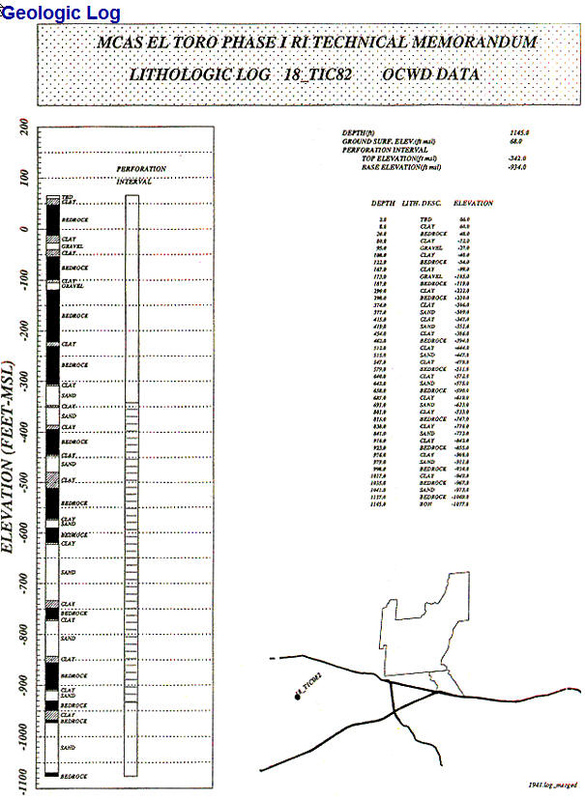 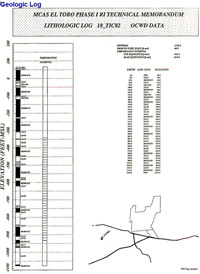 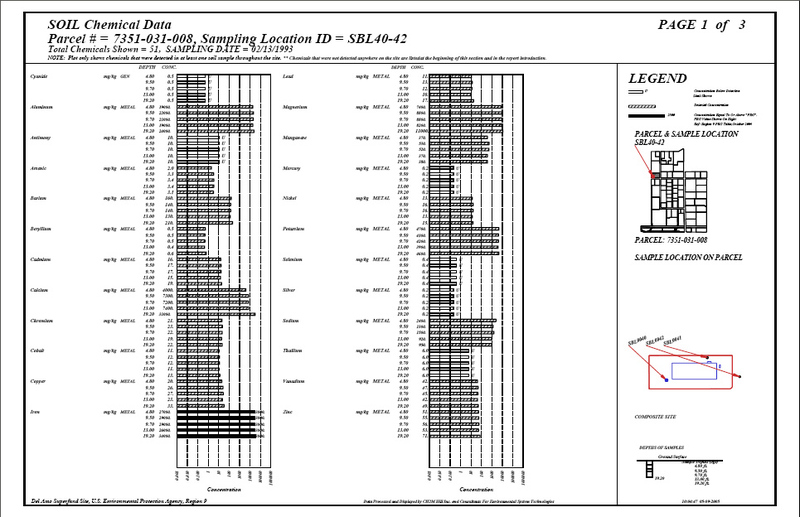 Thousands of plots can be generated quickly, and each printed 11x17 page can be custom-designed to include: Location Map, Hydrograph, Geologic Data, Well Construction Data. 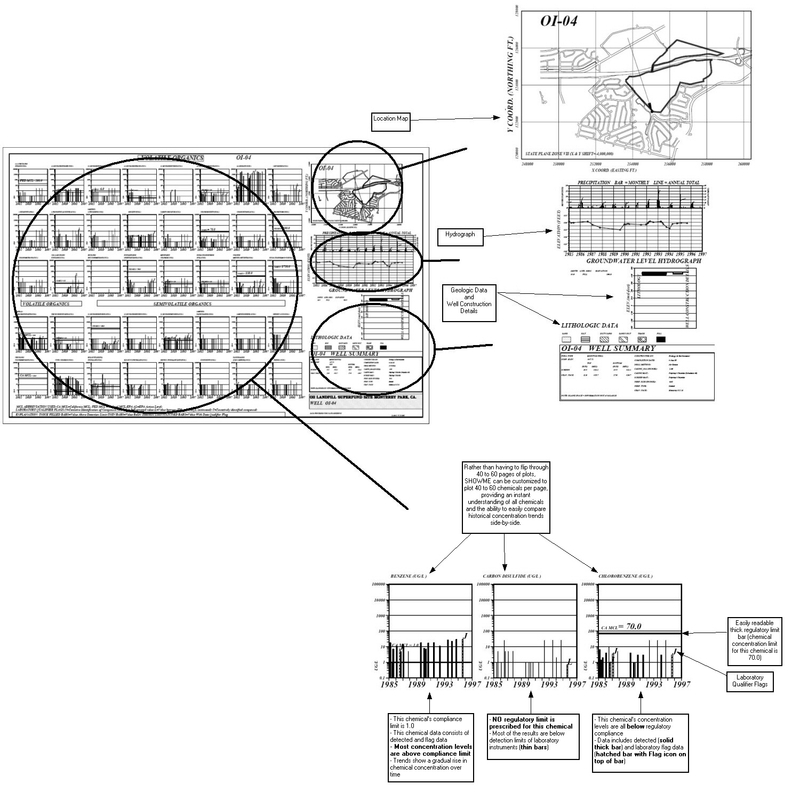 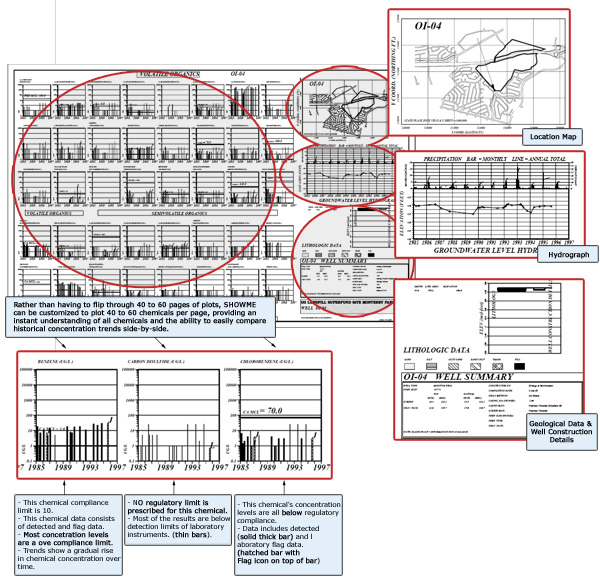 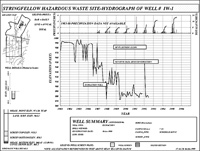 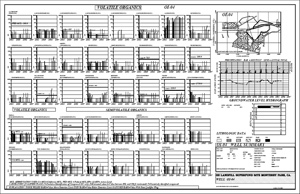 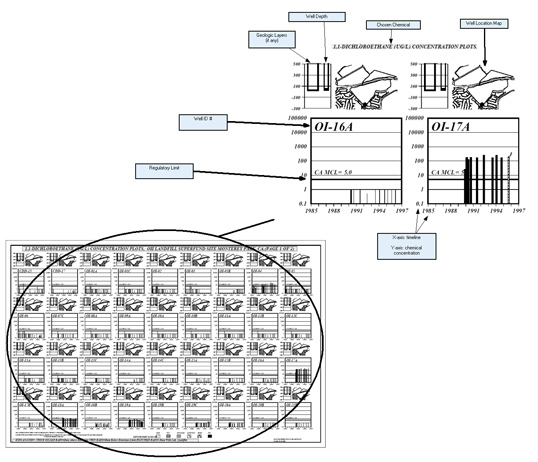 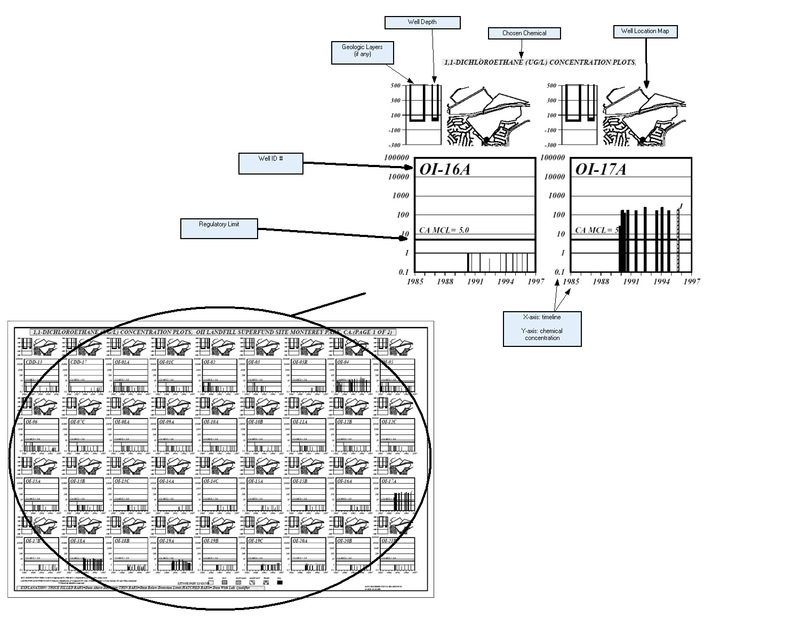 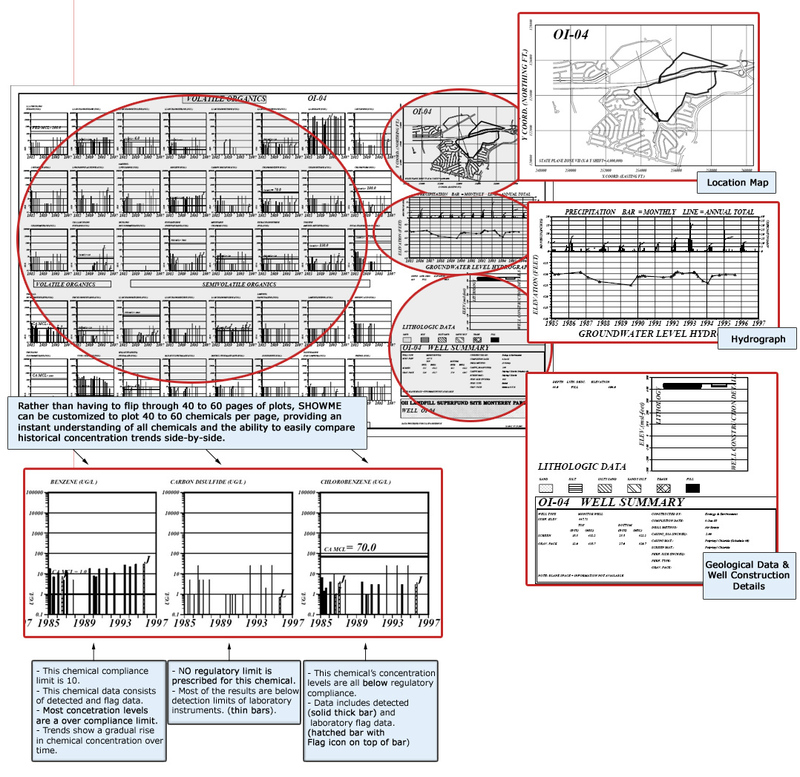 A Single Well Plot can graph up to 60 monitored chemicals in each project well.